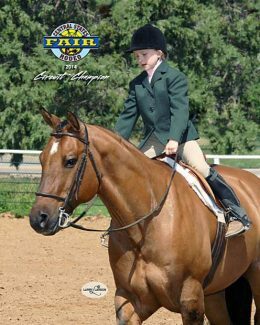 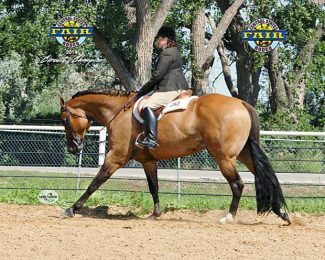 Rapid City, SD – The 10 day run of the 2014 Central States Fair was once again kick started by a successful Quarter Horse Show Circuit. Contestants from across the Midwest traveled to Rapid City for the show held August 15-17 at the Central States Fairgrounds. 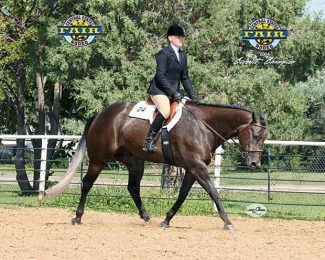 Judges for the circuit that offered 4 judges over the 3 day event were Dolly Chayer, Sperry, Okla., Tom Crowley, Kellogg, Minn., Shaun Duley-Gloude, Lone Tree, Colo., and Karen Banister from Brighton, Colo. Circuit Champions were chosen on the final day of the show in each of the 105 classes offered. 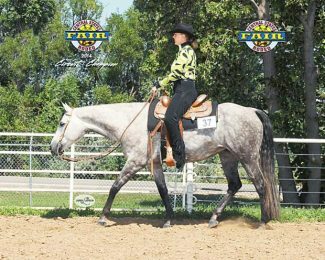 Capturing a total of 4 Circuit Championships in 2014 at the Central States Fair was the team of Poppin Investment and Rianna Schaeffer from Belle Fourche, S.D. 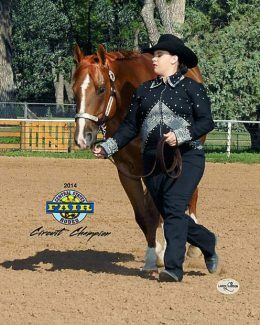 Schaeffer and her sorrel gelding showed in the Novice Amateur Division and took home awards in Showmanship, Western Pleasure, Trail and Western Horsemanship. Amateur & Open Yearling Stallions – The Secret Admirer, Karla McDonald; Amateur Aged Stallions & Open Performance Stallions – Guns On Deck, Dale Brown; Amateur Performance Stallions – The Masqued Male, Brenda Flottmeyer; Amateur & Open Yearling Geldings – Ride Me Please, Heidi DeJong; Amateur & Open 3-Year-Old Geldings – Invitationtoeaster, Vicky, Delia & Douglas Cuka; Amateur & Open Aged Geldings – Mayhem Like Me, Sabrina Hayes; Amateur & Open Performance Geldings – Articuno, Durene Bowman; Amateur Yearling Mares – I Gotta Hot Mama, Karla McDonald; Amateur Aged Mares & Open Aged Mares – Gota Ticket To Ride, Adair Walker; Amateur & Open Performance Mares – Purdy New Shoes, Melinda Cheetham. 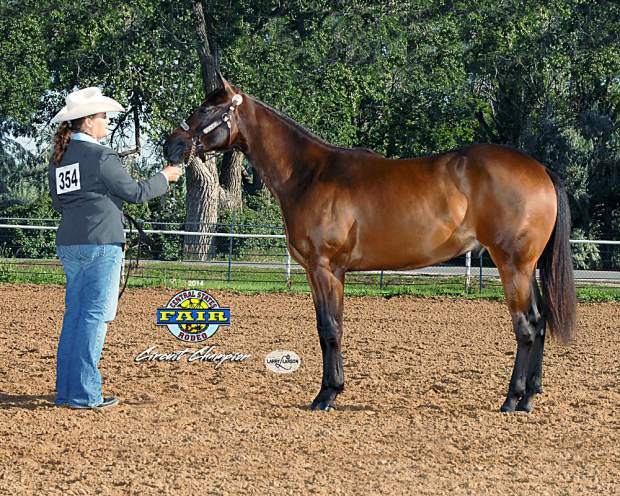 Open & Youth Yearling Mares – Play Charades, Mick Clutter; 2-Year-Old Mares – Kadee, Mindy Kiepe; Aged Stallions – Guns On Deck, Dale & Juli Brown; Youth 2-Year-Old Mares – Kadee, Feliciti Haack; Youth Performance Mares – Miss Kane Is Invited, Shelby Ann Holmes. Novice Amateur Showmanship – Rianna Schaeffer, Poppin Investment; Novice Youth & Youth Showmanship – Beth Ann Seidel, Boston Potential; Amateur Showmanship – Durene Bowman, Articuno. 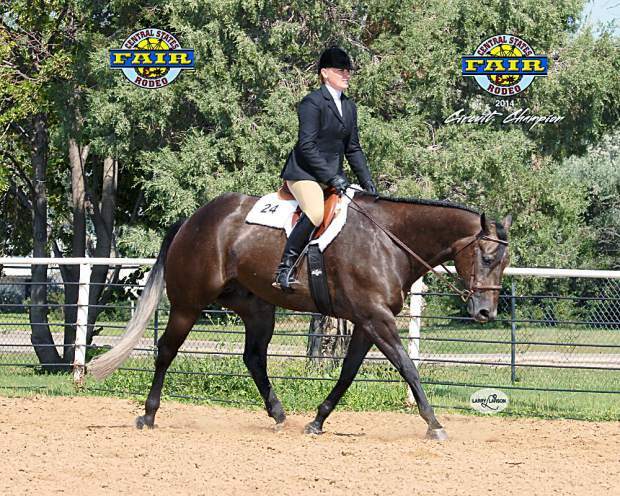 Yearling Longe Line – Ride Me Please, Heidi DeJong; Novice Amateur Hunter Under Saddle & Novice Amateur Hunt Seat Equitation – Cool Conclusivecache, Maggie Frederickson; Novice Youth Hunter Under Saddle – Boston Potential, Beth Ann Seidel; Amateur Hunter Under Saddle – An Artful Afront, John Sedgwick; Hunter Under Saddle – Purdee Pleez, Katrina Haase; Amateur Hunt Seat Equitation – (Tie) Sabrina Hayes, Mayhem Like Me & Krystal Jackson, Captive Style; Novice Youth Hunt Seat Equitation – Lindsey Thomas, Friendly Blackburn. 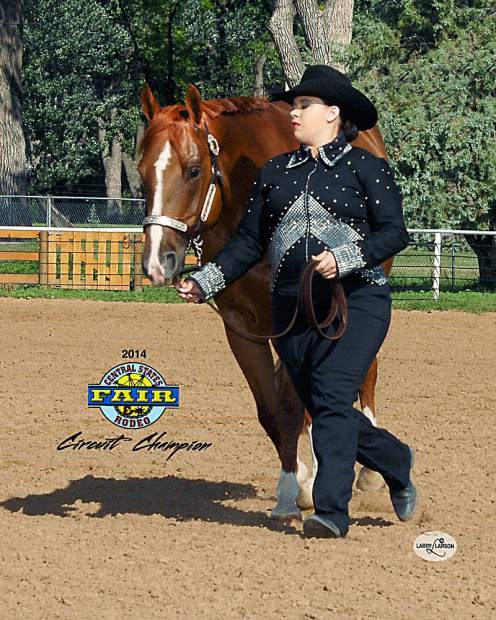 Novice Amateur Western Pleasure/Trail/Western Horsemanship – Poppin Investment, Rianna Shaeffer; Amateur Western Pleasure & Amateur Western Horsemanship – Captive Style, Krystal Jackson; Novice Youth Western Pleasure & Youth Western Pleasure – (Tie) Miss Kane Is Invited, Shelby Ann Holmes & Deluxe Goods, Madelyn Seidel; Senior Western Pleasure – Deluxe Goods, Madelyn Seidel; Amateur Trail & Senior Trail – My Money Is Good, Lisa Young; Junior Ranch Horse Pleasure & Junior Reining – Ima Striking Dually, Keith Thomas; Amateur & Senior Ranch Horse Pleasure/Senior Reining – Suna Mac Jack, Kenneth Thomas; Novice Amateur Reining – Chex Spinnin Smoke, Mary Roes; Amateur Reining – Merrys Dun Kidding, George Pfeiffer.